In January 2016 I went back to work full-time after my youngest started kindergarten. This meant very little time for crafting and so I spent most of the past 2-3 years focusing pretty much exclusively on my day job. But recently I have felt the pull back to crafting. I had a big finish right before Christmas 2018 see blog post here, which got the momentum rolling. I began a new cardigan of my own design. I hope to write up the pattern soon. Here is a sneak peek! I'm in love with the subtle texture and stripes worked with basic stitches. I'm thinking of this as part of a capsule wardrobe type piece. Simple, classic, timeless, minimal. I am using Galler Prime Alpaca - still my absolute favorite yarn and such a good value. I'm loving the slow process of working out this design. The idea of taking time, slowing down, being thoughtful, enjoying the process has been intriguing for me. Books inspiring the sentiment are Savor Each Stitch by Carolyn Friedlander. Yes, it is a quilting book, but I appreciate her design and crafting philosophy - elevating crafting to art through slow thoughtful design. 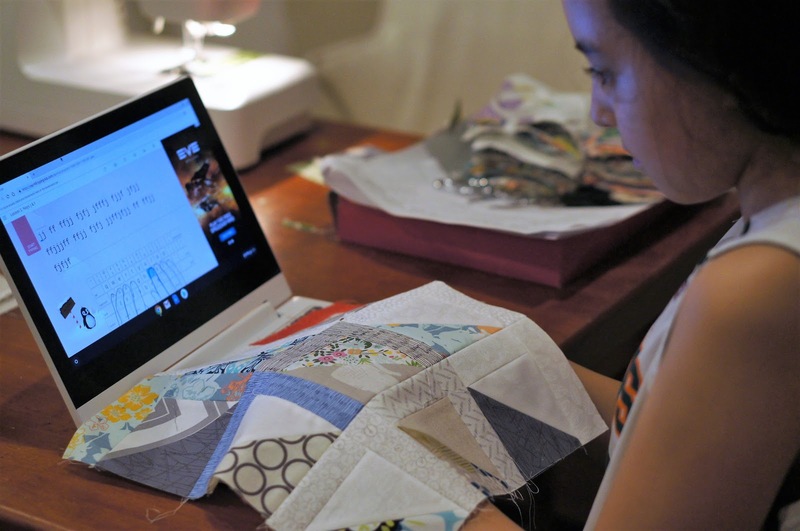 Along these lines I also became interested mending the family's clothes with patches and sashiko thread and needles, so I bought for the kindle Mending Matters by Katrina Rodabaugh and began doing just that. Making the stitches is very soothing, plus there's the added bonus that I get to feel good about reusing and recycling rather than purchasing more clothes. Once you get started, it's hard to stop. Believe it or not I'm looking forward to seeing some more holes in clothes! Here are pics of my first two patch jobs. These are my son's Mini Boden fleece lined pants that he loves! He put it in the goodwill bin because of the ripped out knee, but I recently took it out and patched it and he's so happy to be wearing his favorite pants again. And I'm delighted to get some more use out of those overpriced pricey pants. And here are my Madewell jeans that I sadly ripped when I fell off my bike this summer. But I'm happily wearing these overpriced pricey jeans again! 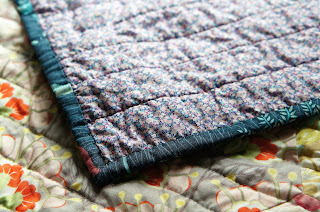 So delighted with hand stitching that I am thinking of attempting to hand quilt something or other. My research into how to do this led me to SuzyQuilts blog. And this video tutorial. I am in love with her whole blog! She does profiles of fiber artists, like this one about Faith Ringgold. So happy I found her. 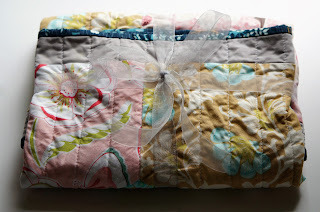 At some point I will make a small quilt, maybe one of Suzy's minis or pillows and try my hand a hand stitching. I don't think I will be hand quilting my current quilt. 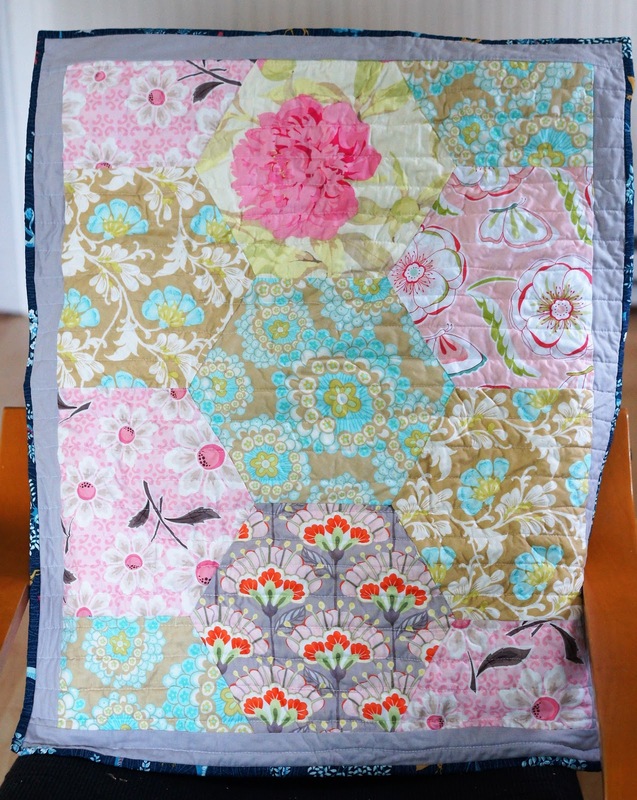 I hope that it will be a twin size quilt for our guest room. 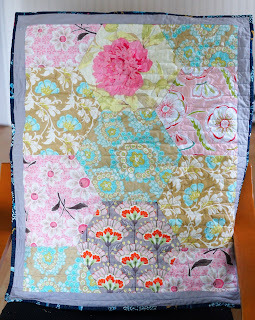 I am using this pattern by one of my favorite quilting bloggers Rita Hodge of Red Pepper Quilts. As you can imagine, it is a quilt that is taking a very long time. I have been working steadily for a few weeks now, at least an hour or two a day and I am not yet half way done with the quilt top. Bonus is that the blocks are helping Elena learn to type! 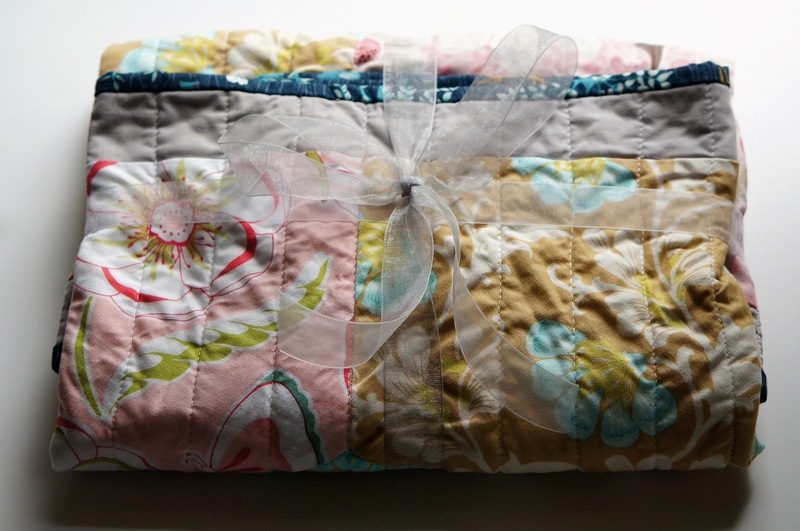 But the theme here is taking my time, using craft as a meditation, not instant gratification. Each project is about savoring each stitch, being thoughtful about design, and enjoying the process. Excited for 2019 and to get back into the swing of things! I finished crocheting my big colorful sweater from an ancient crochet book I found at Goodwill called Glorious Crocheted Sweaters. The book is edited by Nola Theis but the designers are Dutch named Ariadne and Eska Tijdscriften. A few years ago I picked out the design and asked my mom whether I should crochet it. She said, "It may take you a few years and you may want to gouge your eyeballs out, but I think you should go for it because it will be really pretty." A few years and tears later, it's done. Thank you mom.